June 2019 at Banyan Tree Mayakoba. 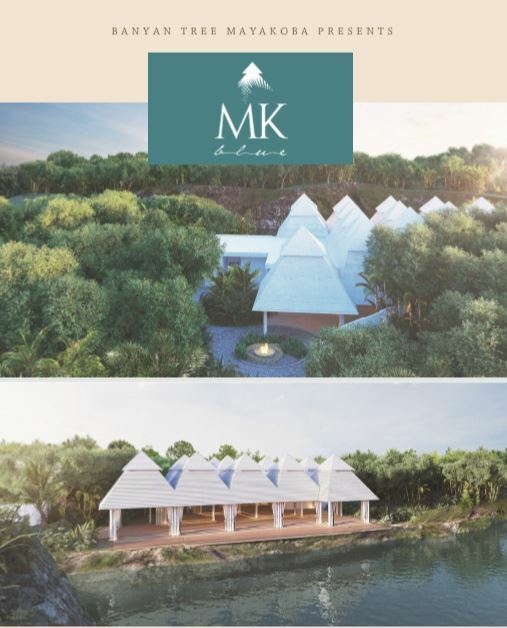 THE NEW MK BLUE IS LOCATED NEXT TO THE RESORT’S ENTRANCE AND FEATURES UNOBSTRUCTED VIEWS OF THE MAYAKOBA WATERWAYS AND TROPICAL FOREST. IT WILL CATER TO THE MOST SOPHISTICATED AND STYLISH EVENTS OF THE RIVIERA MAYA.